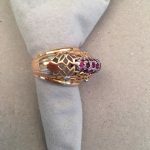 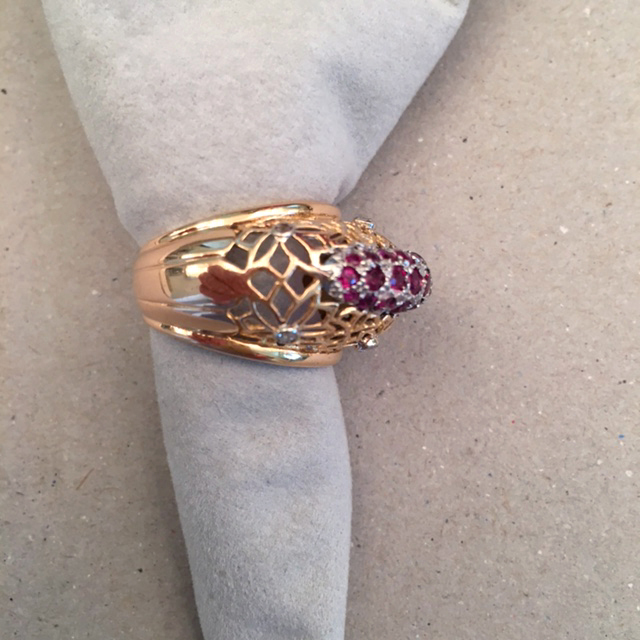 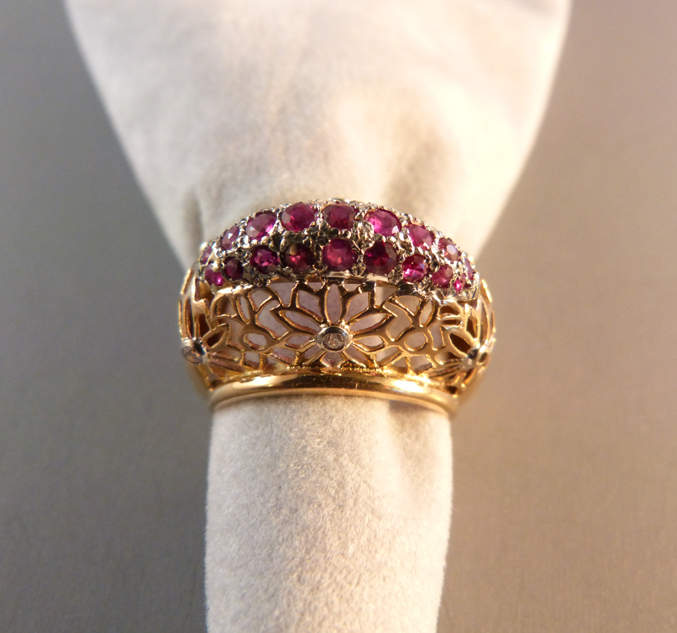 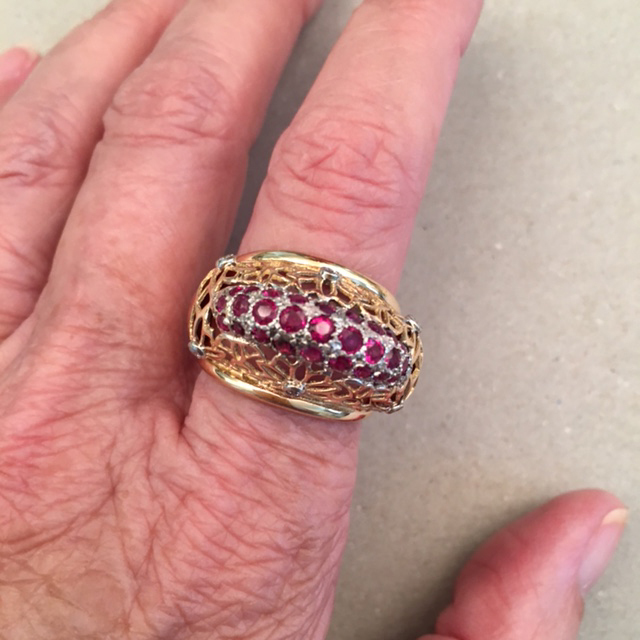 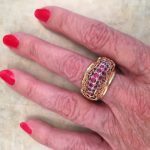 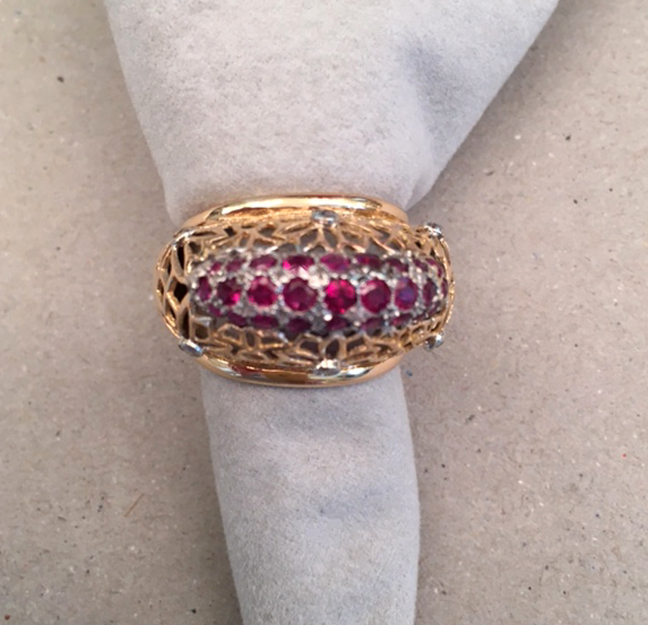 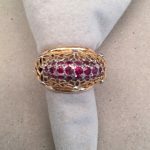 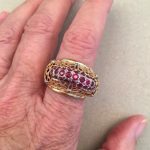 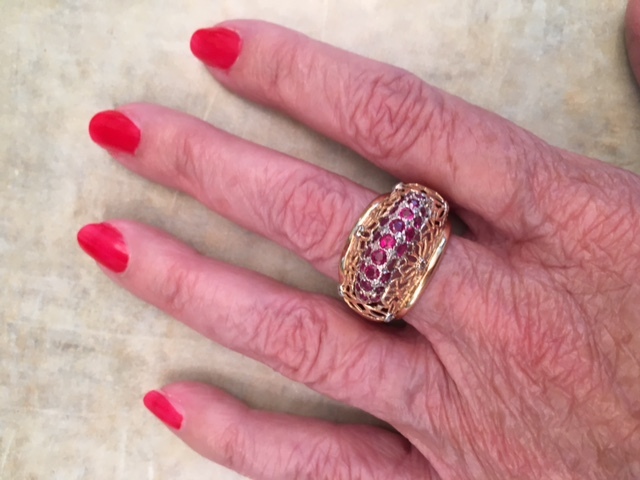 RING 18k yellow gold, diamond and ruby pierced dome ring, size 8+ and lays 5/8" along the finger. 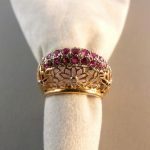 The rubies are natural and the six diamonds are all single cut, total weight 1/8 carat, S-I to I-1 clarity. 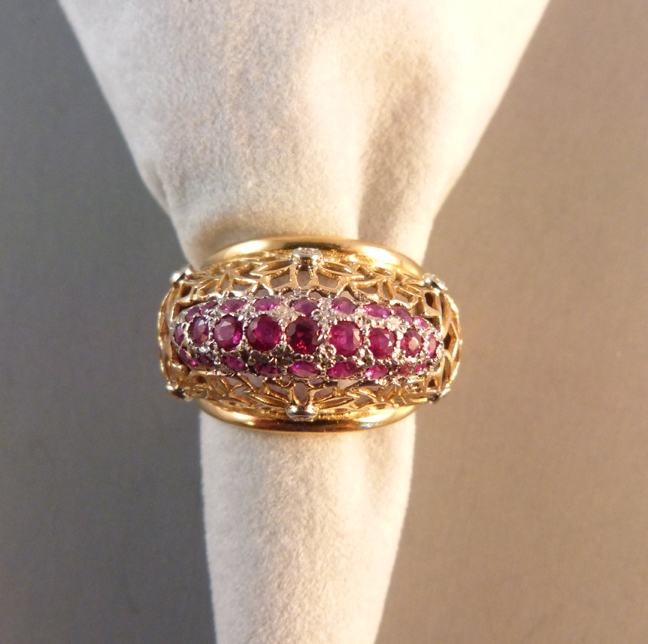 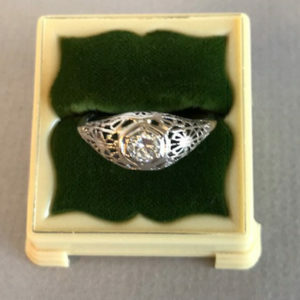 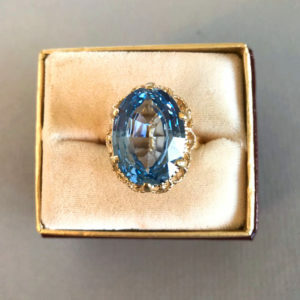 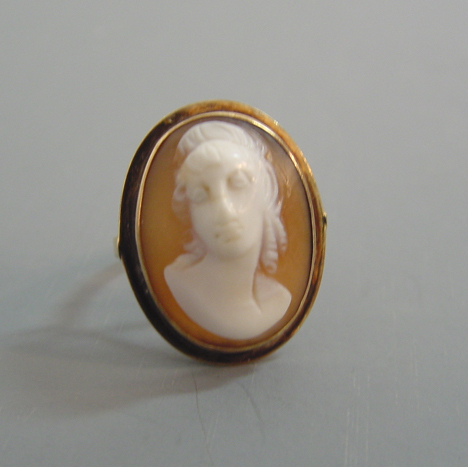 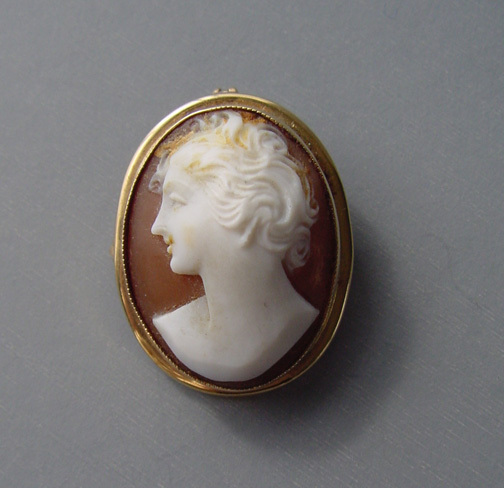 The total weight of the entire ring is 10.64 grams or .37 ounces, and it is circa 1980.